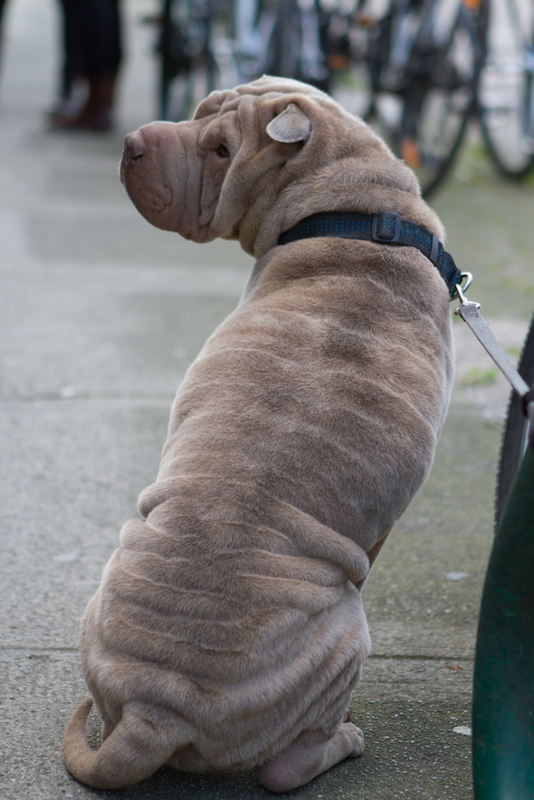 Our assignment for the Street Photography class today was interactions between people and their dogs. 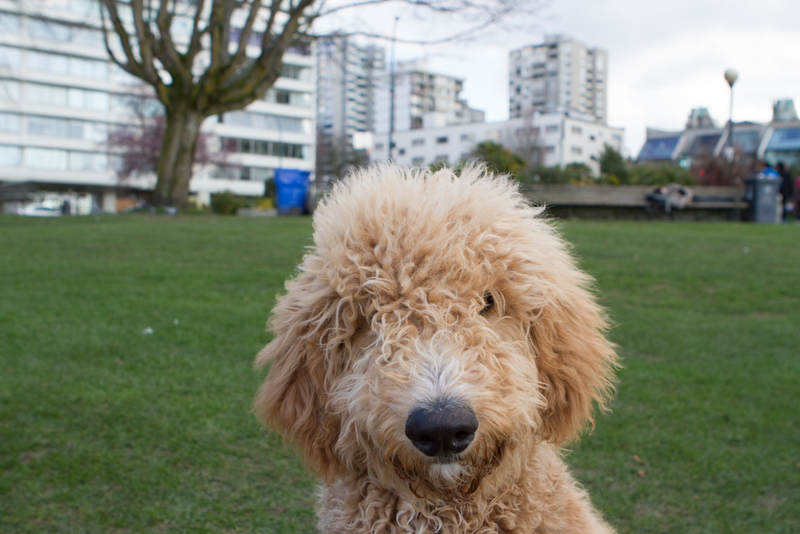 We met up at English Bay to shoot. It was a gorgeously sunny day, even though it was freezing cold for the 3 hours we were shooting. This was a fun assignment. I didn’t get a whole lot of interactions, because most people I asked didn’t want to be in the picture with their dogs. 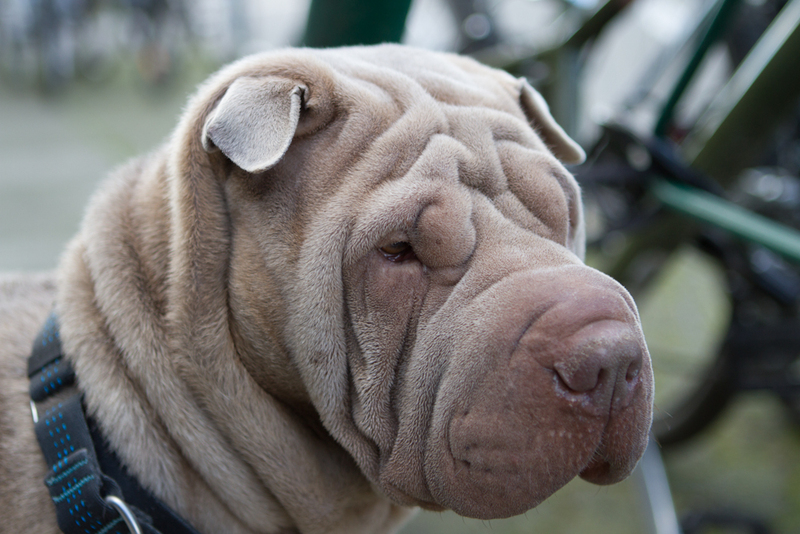 But I got a lot of super cute dogs’ pictures. 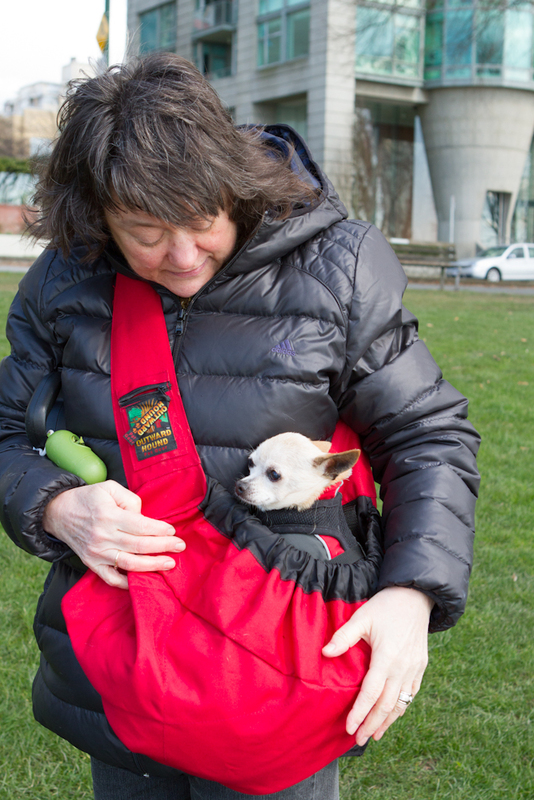 This old dog get carried around in a sling made for dogs. 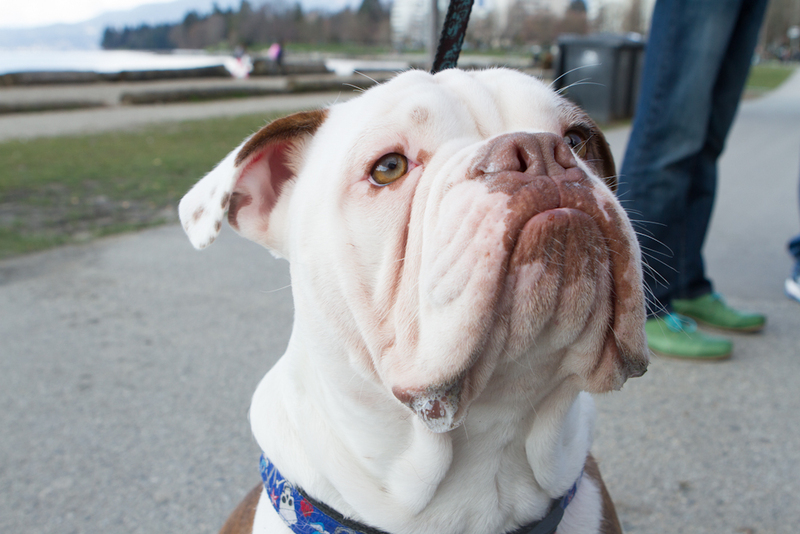 An old English bulldog named CJ. He is 8 months old. 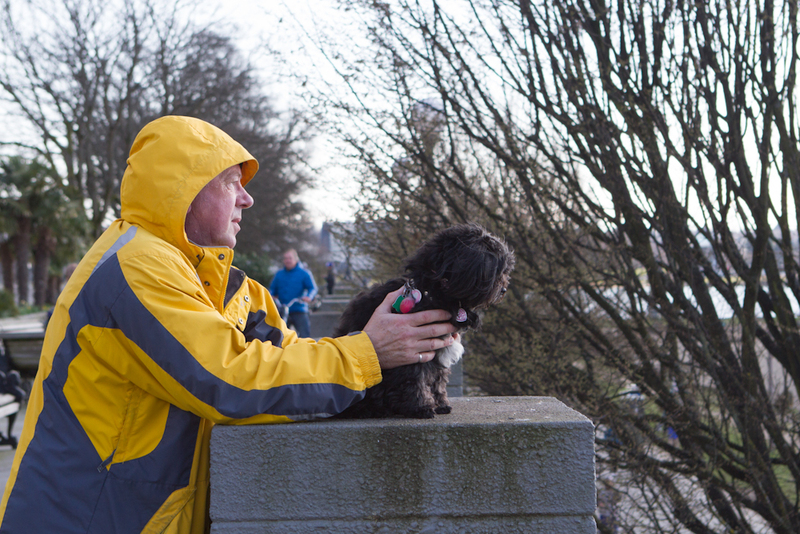 This dog and his dad checking out the scenery at English Bay. This puppy is 16 years young. 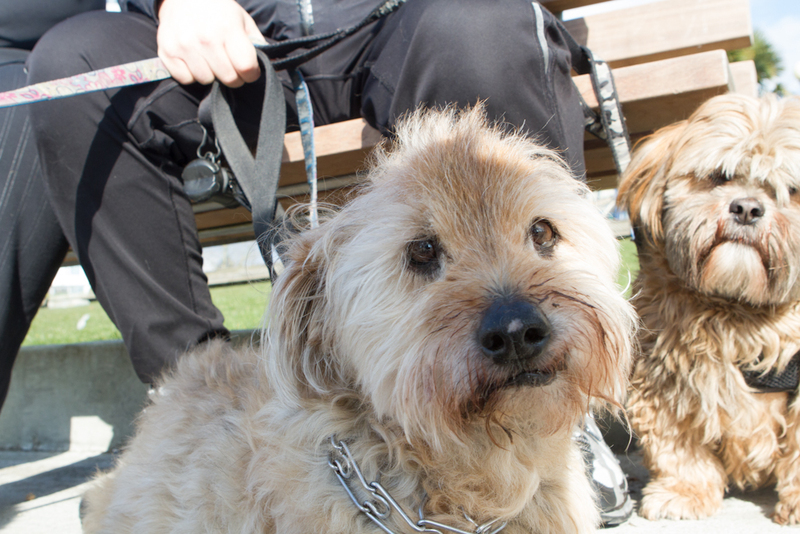 This entry was posted in Photography, Sam and tagged dogs, English Bay, pets, street photography, Vancouver by angelasaito. Bookmark the permalink.